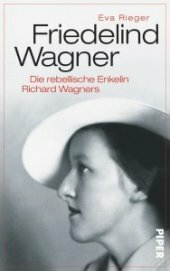 A new biography by Eva Rieger, “Friedelind Wagner: Richard Wagner’s Rebellious Granddaughter,” is a loving, illuminating tribute to this unusual, bighearted woman who was all too often written off as a silly eccentric and traitor after the war. A good part of the book is devoted to the backstage intrigues in the battle for Bayreuth, which poor Friedelind lost. As the only Wagner who had spurned Nazi Germany, the musically gifted Friedelind had hoped that she would play a leading role in restarting the festival theater. dern lighting to Bayreuth when it reopened in 1951. He had perfected his technique in a satellite concentration camp near Bayreuth, but in the massive amnesia that befell Germany, this was not remembered until a few years ago. Friedelind was allowed to give some master classes for a while, but without sufficient financing, she ran up huge bills and was ultimately evicted from the hallowed hall. You can bet her book wasn’t on sale at the souvenir shop. In fact, it was virtually impossible to find by the time of her lonely death in 1991 at the age of 73. In Rieger’s biography (translated by Chris Walton) she strides into history captured by many memorable pictures that show her grandfather’s big chin and affinity for dramatic attire. That’s quite a hat Mausi wore for her photo-op with Uncle Wolf one summer day in Bayreuth. Copyright © 2005-2014 by Eva Rieger. All Rights Reserved.